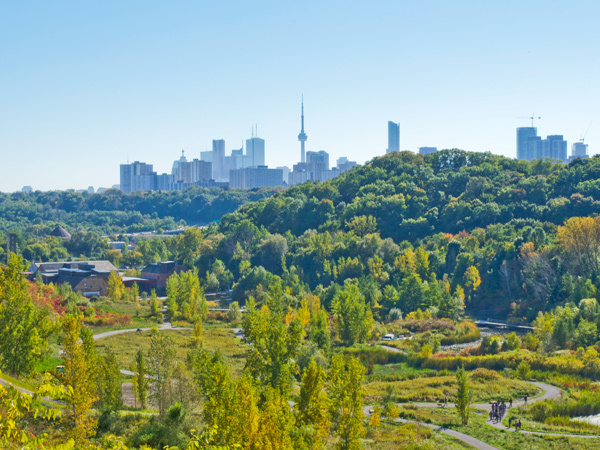 Situated in the city’s most prominent ravine, this 16.5-hectare park was once a 36-meter-deep quarry, which for nearly a century provided clay and shale to Don Valley Brick Works, established on the site in 1889. 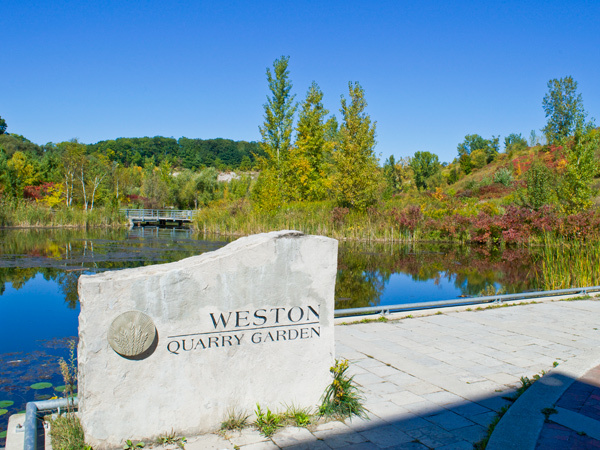 The company ceased operations in 1984, and the quarry was gradually in-filled using materials excavated during the construction of Scotia Plaza in downtown Toronto. 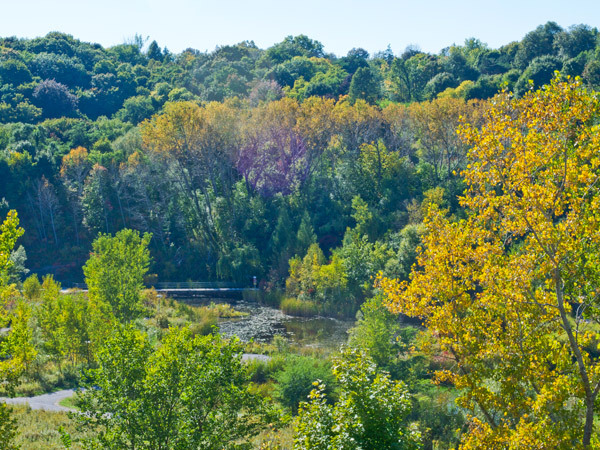 The Toronto and Region Conservation Authority expropriated the site in 1986, and, with design oversight provided by The Planning Partnership, the park opened ten years later with financial support from the Weston Foundation. 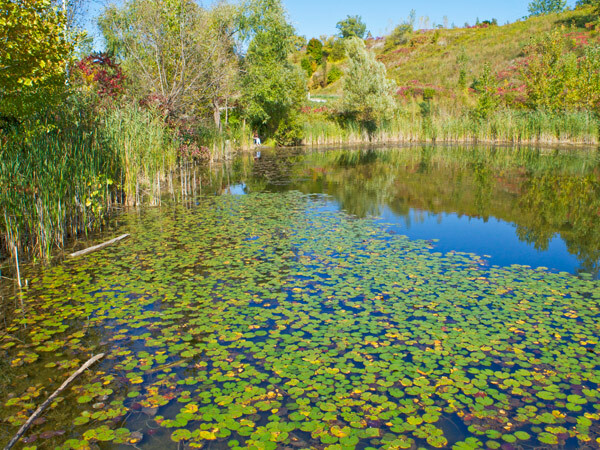 Ponds and wetlands along the park’s western flank provide urban habitat for aquatic plants and animals. 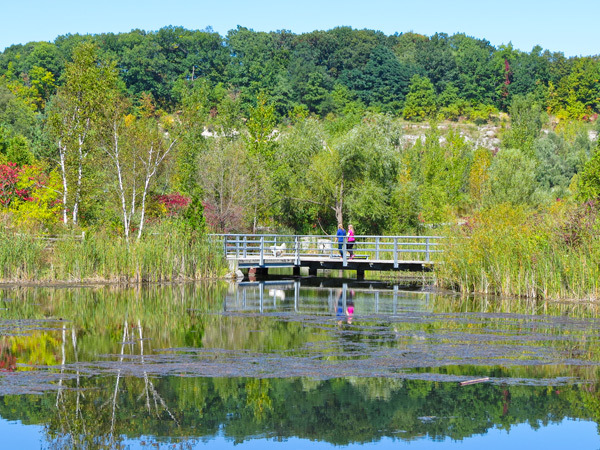 The three ponds are also an important regenerative feature of the Don Watershed, filtering the waters of Mud Creek, which are diverted to enter the park from the north and eventually join the Don River just to its south. 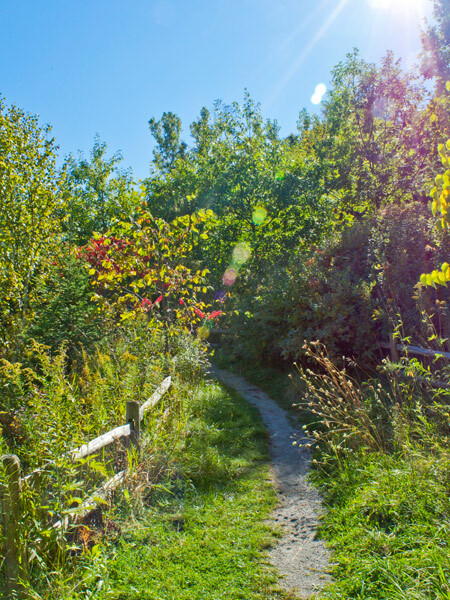 Between the ponds and the Beltline Trail to the west are woodlands planted with native trees, as well as Carolinian species such as tulip trees, fragrant sumac, and eastern redbuds. 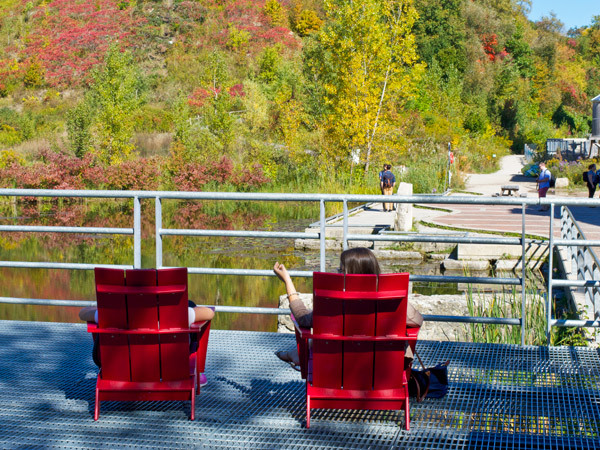 Bridging the wetlands with boardwalks, a circuitous four-kilometer-long trail network connects to nearby nature reserves. 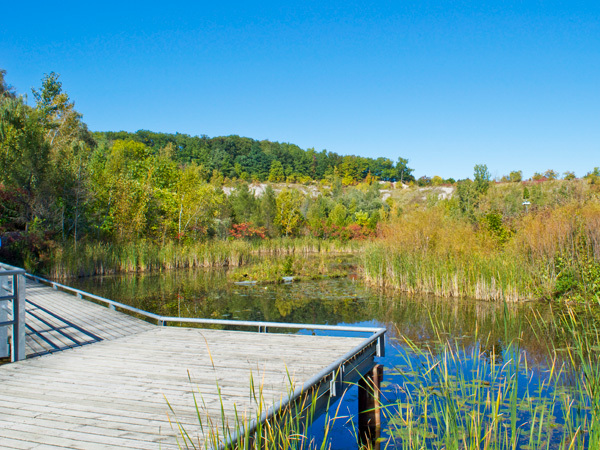 The Garden Club of Toronto and the Canadian Wildflower Society planted a meadow to the north, preserving views of the quarry’s northern face. 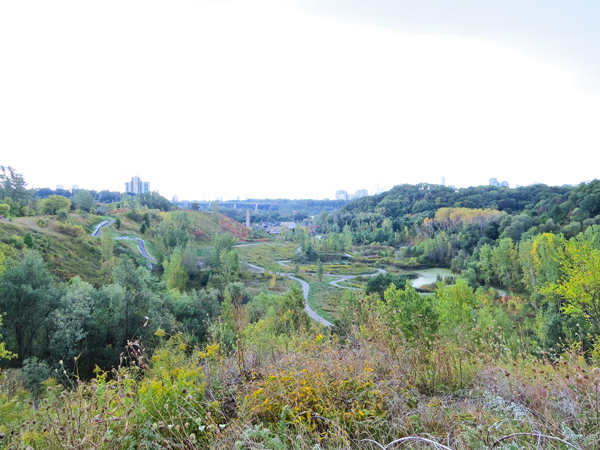 The former quarry evinces an unusually coherent geological record and two ice ages, and is part of the unique network of ravines that fundamentally shapes Toronto’s topography. In the early 2000s, the non-profit Evergreen assumed stewardship of sixteen industrial buildings from the original brickyard adjacent to the park, and transformed them into a community and educational center.